This chair should be V themed. Use plenty of neon, blue, and other high-tech futuristic things. A Physical Description (Artwork is HIGHLY encouraged! Tell us: How do you get this equipment? What’s the story? How does it fit in Maple World? Also list anything else you can think of! Use your imagination to both tell us and show us what makes your chair awesome and unique! 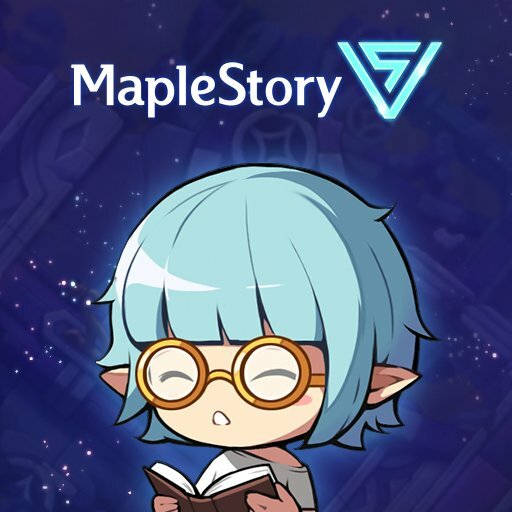 Submit your very own V-themed chair that you would like to see your Maple hero sitting on for a chance to win some MaplePoints. The winning design might even get added to the game! Post your submission in this forum thread before the end of the contest submission period, December 30th, 2016. Include the name of your MapleStory character and World with your entry. Multiple submissions, plagiarism, and use of inappropriate content (in the opinions of the judges) shall be grounds for disqualification. Ten winners will receive a hefty amount of MaplePoints! The Grand Prize winner will have a chance to have their chair considered for creation and implementation by the development team for use in MapleStory, as well as receiving 200,000 MaplePoints! The upper 4 winners will receive 100,000 MaplePoints! The bottom 5 winners will receive 50,000 MaplePoints! Note: The contest runs from today to December 30th, 2016 at 11:59 PM Pacific Time. This event makes our gamers could show off their creative side. Are you ready to design your own work?